August 18 (Proactive Investors) Aspire Mining Ltd (ASX:AKM) has commenced the first stage of the rail feasibility study to extend Mongolia's national rail network from the city of Erdenet to its flagship Ovoot Coking Coal Project in Mongolia. All infrastructure projects on the agreed route will have priority funding status from Chinese banks. The first stage feasibility study is expected to complete by December and Aspire will work on securing funding for the final feasibility study and construction in the interim. Aspire has negotiated a US$2 million loan facility to commence rail pre-development activities for the extension. "The corridor is designed to facilitate growing trade between Asia and Europe and given Aspire's strategic location along this corridor, the value for Aspire's rail and metallurgical coal assets have been significantly enhanced." Quam Capital Limited has secured interim short term funding of US$2 million from a group of investors, including substantial shareholders, to progress time critical rail pre-development activities. Funding will enable Aspire's rail subsidiary, Northern Railways LLC, to complete the first stage rail feasibility study and environmental surveys. The loan facility is for 12 months, will carry an interest rate of 9% per annum and will be drawn down in three tranches in August, October and December 2016. Aspire has budgeted a total of US$15 million in costs to bring the project to completion as an engineering, procurement and construction (EPC) funding transaction. - Ovoot Coking Coal mine development. The commencement of the feasibility study is an important milestone for Aspire as the construction of this railway extension is essential to the development of Ovoot. The US$2 million in funding will allow Aspire the time to identify and complete funding for the balance of rail pre-development activities without diluting the existing shareholder base. The inclusion of the Erdenet to Ovoot railway in the Northern Rail Corridor is an important milestone for Aspire as it increases the certainty of its construction which is required for the development of Ovoot. Furthermore, the newly elected Mongolian Government led by the Mongolian People's Party confirms that commencement of construction of the Erdenet to Ovoot Railway forms part of the new Government's agenda. While the feasibility study is expected to be complete by December, news flow is expected in the interim regarding the status of funding negotiations. The stock is up 100% year to date thanks to Aspire's inclusion in the Economic Corridor in late June, which acted as a catalyst for the stock price. Khan Announces Status of Shareholder Distributions and Sale of Khan Resources Bermuda Ltd.
TORONTO, ONTARIO--(Marketwired - Aug. 18, 2016) - Khan Resources Inc. ("Khan" or the "Company") (CSE:KRI) is pleased to provide the following update on its progress to distribute the net proceeds received from the Government of Mongolia as settlement of the international arbitration award in respect of the expropriation of Khan's properties in Mongolia. The proceeds were allotted to KRI and its subsidiaries on May 18, 2016 first as a reimbursement of the expenses incurred to obtain the award and collect the settlement and the balance allocated based on the proportionate ownership of the underlying properties. The settlement funds remain in US dollars. Subsequent to receipt of the settlement proceeds, the Company, in conjunction with its legal, accounting and tax advisors, has continued to investigate and evaluate various options to distribute the settlement funds to shareholders in an efficient and timely manner. Over the last few months, certain liabilities have been discharged, including contingent payments due to legal counsel in connection with the arbitration proceedings. In addition, the Company's corporate structure has been reorganized and simplified, resulting in a better alignment of fiscal year-ends for the Khan group of companies. Following this reorganization, an agreement (the "Khan Bermuda Sale Agreement") was signed and closed on Aug 17, 2016 with an independent third party for the purchase of Khan's directly held subsidiary, Khan Resources Bermuda Ltd. ("Khan Bermuda"). Khan Bermuda holds all of the issued and outstanding shares of Khan Resources LLC ("Khan LLC") and CAUC Holding Company Ltd. ("CAUC Holding"), which in turn holds a 58% interest of Central Asian Uranium Company, LLC ("CAUC"). As part of the distribution of the settlement funds, Khan Bermuda received US$4,965,067 and CAUC Holding received US$35,307,148. Under the terms of the Khan Bermuda Sale Agreement, Khan sold all of the shares of Khan Bermuda (and accordingly, all of Khan's interest in CAUC Holding and CAUC and Khan LLC) for a cash purchase price of US$38,462,686. The cash proceeds will be converted to Canadian dollars in the near future. Having consulted with its various professional advisors, the Company has concluded that the sale of Khan Bermuda and its subsidiaries will accelerate and maximize shareholder distributions by simplifying the corporate structure and avoiding the need to wind-up and repatriate cash from these foreign subsidiaries in multiple jurisdictions and reducing or eliminating any risks to Khan associated with such subsidiaries. While the proceeds of the sale are expected to be less than the consolidated assets of Khan Bermuda, the discount is offset by the present-value benefits that Khan shareholders will receive due to a more expeditious distribution of cash and the avoidance of the costs to liquidate the subsidiaries and attendant risks. As such, and for all of the reasons mentioned above, the board of directors of Khan has unanimously determined that the sale is in the best interest of the Company and is fair to its shareholders. With the completion of the sale of Khan Bermuda, the Company has only one remaining subsidiary, Khan Resources BV ("Khan Netherlands"), which will be wound up as soon as practicable. The assets of Khan Netherlands primarily consist of approximately US$14.2 million of cash which will also be repatriated to Khan and converted to Cdn$ in connection with the winding up of Khan Netherlands. The Khan board of directors then expects to commence the process of winding up Khan itself. In connection with this, the board expects to release a circular within the next few weeks that calls for a meeting of Khan's shareholders to authorize an interim cash distribution to shareholders by way of a reduction of the stated capital of the Company and to authorize the liquidation of the Company. The amount of the cash distribution has not yet been determined, but the Board expects that it will constitute the majority of the net proceeds received from the settlement with the Government of Mongolia. No date has been set for the shareholders meeting or the distribution, but the Board anticipates being in a position to call the meeting for the early fall of 2016, with the interim distribution being made promptly after the meeting, if shareholders approve the distribution and liquidation. The Company expects to release its financial results for the quarter ended June 30, 2016 on Friday, August 19, 2016. August 18 (gogo.mn) Joint Stock Companies (JSCs) have presenting their half-year operating report to the public. Lately, "Gobi" JSC, listed on classification "I" of Mongolian Stock Exchange, presented its half-year report. In first half of 2016, the company operated with MNT3.1 billion net profit which was 29.1 percent more than same period of last year. The main reason to having positive financial balance sheet was increased amount of sales in foreign countries and increased currency rate. "Gobi" JSC is cooperating with international designers in order to produce internationally recognized Mongolian luxury brand products and aiming to be leading cashmere coat producer in the world. In first half of 2016, the company operated with MNT 9.7 billion net profit which was 67.2 percent more than same period of last year. The main reason to having positive financial balance sheet was decreased foreign exchange loss ​during the reporting period. "APU" JSC is working to increase​ its profits by transferring exchange credits to Tugrik, issuing bond and establishing forward contracts of raw materials​. In first half of 2016, the company operated with MNT 348,922,268.76 net profit and it has declared 100 per cent stock dividend to shareholders. Dividend will be paid starting Sep 5 in accordance with the relevant law. We delivered you the half-year reports of JSCs which published on MSE`s website. According to the reports, national producers and JSCs are dealing with economic downturn successfully. August 18 (gogo.mn) Today Prime Minister J.Erdenebat received representatives of International Monetary Fund (IMF) led by the Resident Representative for Mongolia Mr. Neil Saker and Deputy Division Chief Mr. Koshy Mathai. At the beginning of the meeting Prime Minister noted that Mongolia have been cooperating with IMF for a long time and expressed his hope that the cooperation will be continued in the future. -I would like to congratulate you for establishing the Government in a short period. Informing the financial reality to the public and combining the separated budgets are good start for Mongolia to overcome the economic crisis. Now you need to continue those bold actions with right solutions. We arrived Mongolia for a short period to get acquaint with the Government solutions on the economic downturn. If you want to work with IMF in further, our bigger working group will arrive here for several days. IMF were aware of the Mongolian economic situation including balance of payments and dollar flow. IMF representatives emphasized that the сommercial banks eased restriction on dollar and it increases the USD rate. Prime Minister J.Erdenebat said "Not only financial institutions but also foreign investors were aware of Mongolian actual economic situation. We have just informed it to the public who were not fully understood. Mongolia faces high demand of dollar in every Augusts. However, this time USD rate exceeded the actual demand and it affected to the purchasing power of citizens as well as both entities and citizens with dollar loans". Moreover, Prime Minister exchanged views with IFM representatives on planned actions and right policies to stabilize the economy. August 18 (Bank of Mongolia) Spot trade: Commercial banks bid for USD60 million and CNY67.1 million. The BOM sold USD60.0 million at the closing rate of MNT 2265.81 and CNY67.1million at the rate of MNT 339.0. Swap and forward trade: Commercial banks bid for USD49.0 million of MNT swap agreement. The BOM accepted the offers. August 18 (Bloomberg) The central bank of Mongolia raised its key interest rate to 15 percent to protect the currency, reversing a cut in borrowing costs to 10.5 percent in May. The Mongolian tugrik initially rose after the announcement. By 4:26 p.m. in Ulaanbaatar it was falling again, and traded at 2,268 per dollar. The currency is headed for its 24th straight daily decline. The increase follows the new government's decision earlier Thursday to freeze some spending as part of an austerity plan to stave off an economic crisis. The decision was taken to improve yields on tugrik-denominated assets in order to protect the currency and ensure mid-term stability, the bank said in a statement on its website. The landlocked nation between China and Russia has been hit hard by the slump in commodity prices and the slowdown in its larger neighbors. A newly elected government roiled markets when it announced this month that the nation was in a "deep state of economic crisis," with the finance minister saying it may not be able to pay salaries. "The currency is symptomatic of its balance of payments crisis. The fiscal coffer is running dry with the government having to admit that it can't pay its civil servants," said Trinh Nguyen, a senior economist for emerging-market Asia at Natixis SA in Hong Kong. "It will need IMF help. All of this is because Mongolia has too much of its eggs in one basket -- reliance on mining, which remains subdued." Aug 18 (Reuters) Mongolia raised its benchmark interest rates by 4.5 percentage points to 15 percent on Thursday, the central bank said, in a bid to stabilise a currency that has been in free-fall. Elected in a landslide in late June, the country's new government has been plunged into an economic crisis, with its currency, the tugrik, losing 8 percent against the dollar so far this month, making it the world's poorest performing currency. "Financial measures for the medium term have been taken to increase the rate of return for local-currency assets and provide more stability for the tugrik," the central bank said in a statement. The Mongolian People's Party government, headed by Prime Minister Jargaltulga Erdenebat, is also cutting government salaries and suspending selected welfare programmes in a bid to reduce its costs. The landlocked North Asian country, wedged between China and Russia, has been struggling with weak demand for its chief export commodities, coal and copper, as well as a collapse in foreign investment. Mongolia's new finance minister, Battogtokh Choijilsuren, warned the 3 million strong nation last week that the government would struggle to pay out wages, prompting a collapse in Mongolia's sovereign bonds. The state is even struggling to pay out prize money to its Olympic athletes. Government debt was projected to reach of 21.3 trillion tugrik ($9.48 billion), the equivalent to 78 percent of gross domestic product by the end of the year, according to the finance ministry. The ratio was only 30 percent in 2009, when Mongolia last reached out for an International Monetary Fund bail out. 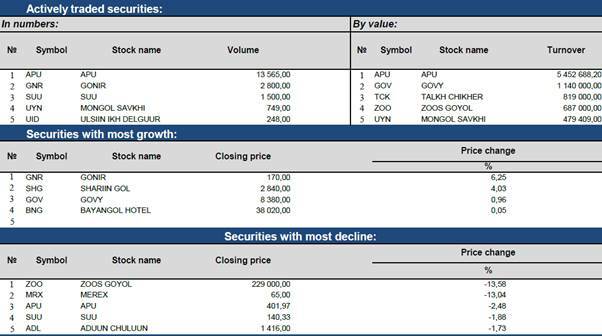 As investors sold Mongolian sovereign bonds over the past week, a $1 billion issue due 2022 fell 4 points to trade on Thursday at 86/87 cents on the dollar. Analysts say the current crisis was a result of the previous government's attempts to reverse the decline in foreign investment through debt and fiscal expansion. "Policy settings in recent years have been very loose, and contributed to pressures on Mongolia's external accounts," said Andrew Fennell, associate director, Asia Pacific Sovereigns, at Fitch Ratings in Hong Kong. "We view the rate hike as a potential sign that policy priorities have moved towards stabilizing these ongoing external pressures," he said. The country's rapid economic growth four years ago was based on large volumes of foreign investment into the country's huge and largely untapped mining assets, including the Rio Tinto-run Oyu Tolgoi project. But huge new projects like the Tavan Tolgoi coal deposit have been put on hold, as Mongolia became embroiled in disputes with investors amid concerns over the growing role played by foreign firms in the country's economy. Mongolia finally agreed a long-delayed $5.3-billion extension plan for Oyu Tolgoi with Rio Tinto in May, but the project, Mongolia's biggest earner, is not expected to rescue the economy, expected to grow at just 0.4 percent this year, according to forecasts from the International Monetary Fund. The country received just $35 million of foreign direct investment for the first half of this year, compared with $4.62 billion for the whole of 2011. And, the Asian Development Bank expects Mongolia to run a current account deficit equivalent to 8 percent of gross domestic product this year, and 15 percent next year. August 18 (Wall Street Journal) Mongolia's central bank has hiked its benchmark interest rate to a record 15% as it battles a crashing currency and investors dump its government bonds. The Bank of Mongolia raised interest rates on Thursday by 4.5 percentage points, putting its benchmark rate above most other countries worldwide, including Nigeria's 14.00%, Brazil's 14.25%, and just shy of Ukraine's 15.5%. The Mongolian currency, the togrog, has fallen 16.7% in the past two months to 2,256.00 against the U.S. dollar after reaching a one-year high in the wake of the U.K.'s vote to leave the European Union. "This tightening will weigh on growth," said Moody's analyst Anushka Shah. "But what theoretically this will do is curb the currency depreciation that we've seen over the past couple of weeks. If it's able to maintain the current level of the togrog it'll prevent further deterioration in overall debt service liabilities." Until recently, Mongolia had been benefiting from a global hunt for yield among fund managers, which pushed greater amounts of capital into increasingly riskier frontier markets as returns from government debt fell worldwide. Mongolia's government debt-to-GDP stood at 54% at the end of 2015, Moody's Shah said, while external debts (including corporate debt) represent a significantly higher 183% of GDP. The government recently said that total debts may be higher. The World Bank estimated Mongolia's external debt stock as $20.8 billion at the end of 2014. Mongolia's newly-formed government, elected in a landslide in June, warned this month of an economic crisis and set up a task force to restructure the economy. That sparked a selloff in the country's U.S. dollar bonds last week. Mongolia had become attractive as a country that emerging market fund managers liked for its relatively high yields and exposure to commodities. Mongolia returned to international bond markets in April this year with a $500 million U.S. dollar-denominated bond, which paid a coupon of 10.875% and matures in 2021. That was a sharp reversal of fortunes from 2012, when the country was able to issue debt at a rate of 4.125%, a lower cost of borrowing than that available to crisis-struck Spain at the time. Bond yields move in the opposite direction from price. The central bank's rate hike Thursday would help Mongolia address a deteriorating economic outlook, said Lee Jin-Yang, an analyst at Aberdeen Asset Management in Singapore. "They have a lot of work to do. The country's fundamentals are still weak," he said. "It's definitely a step in the right direction." Aberdeen had bought bonds issued by Mongolia in April, attracted by the high yields, but had sold all of them prior to the country's election to avoid any political risks. Luke Spajic, head of portfolio management at Pacific Investment Management Co., also known as PIMCO, said the firm is "keeping an eye" on the latest developments, but declined to comment further. Data from FactSet shows the firm is among the largest foreign bondholders in Mongolia. He declined to comment on whether PIMCO still has any exposure to Mongolia. Moody's Investors Service placed the country's banking system on a negative outlook in March, saying that the country's rapid build up of debt would put pressure on banks' balance sheets as debts turn sour. Incomes rocketed in Mongolia during the past five years as the result of a boom in commodities to feed the appetite for commodities in bordering mainland China. Growth in gross domestic product, which rose as much as 17.3% year-on-year in 2011, is expected to grow at just 0.4% in 2016 according to data from the World Bank. In May, mining giant Rio Tinto approved the development of the massive Oyu Tolgoi copper and gold mine, which is expected to start production in 2020. The company's shares slipped 0.2% in trading in Sydney. August 18 (Bloomberg) -- Mongolia's government announced salary cuts for executives and management-level staff at state-owned enterprises. Monthly salaries of 5m-10m tugrik ($2,200-$4,4000) will be reduced by 30%, salaries of 10m-30m tugrik will be cut by 50%, salaries of over 30m will be cut by 60%, according to a statement on the government website. August 18 (Bloomberg) Mongolia is making headlines for having the worst performing currency right now. But not that long ago it was in the news for being one of the fastest-growing countries on Earth. So what went wrong? We've put together charts showing how the so-called wolf economy went from investment darling to cautionary tale. At its peak, Mongolia boasted gross domestic product of almost 18 percent. But reality set in with the collapse in commodity prices and economic setbacks in China and Russia, the landlocked nation's only neighbors that account for 80 percent of its trade. Mongolia has vast natural resources, from copper to the rare earth minerals used in cell phones, and its mineral wealth was dug out to feed China's growth machine. But copper, coal and oil prices bottomed out as demand from China slowed. The only saving grace has been gold, which thrives on bad news, the latest being Brexit. The Mongolian central bank is burning through its foreign exchange reserves to halt the currency's longest losing streak on record. With the academic year fast approaching, the need for hard cash to buy school uniforms and supplies is hastening the depreciation. Mongolia's rapid growth led the government to spend money like a "drunken sailor,'' according to one analyst. But such lavish spending became unsustainable without the patronage of its rich neighbor. It's now up to the Mongolian People's Party, back from the cold after decades of uncontested rule during the country's communist era, to balance the budget after declaring a crisis. Surprising factoid: Mongolia's literacy rate is higher than China's. The foundations were set by Genghis Khan back in the 12th century. Today, more than 98 percent of the population over 15 can both read and write, compared to 95.1 percent in its richer and far more populated neighbor, China, according to the United Nations. On August 9th the finance minister, Battogtokh Choijilsuren, announced that Mongolia's economy was in a state of crisis, amid a wide budget deficit and slowing economic growth. The togrog spot rate depreciated by 7.8% against the US dollar between August 1st and August 16th (local close of business), to Tg2,244:US$1. Mongolia's currency has weakened markedly against the US dollar in recent weeks as confidence in the country's external position has deteriorated. Prior to Mr Choijilsuren's announcement, the recently elected Mongolian People's Party (MPP) government had already raised doubts about much of the country's official economic data by suggesting that external debt and the fiscal deficit could be much higher than previously indicated. Comprehensive details on the matter are yet to be released, and whether the fiscal deficit is larger than previously stated largely depends on whether a number of public initiatives, including the recent mortgage subsidy scheme, will be officially included in the state budget for 2016. The former chair of the now-opposition Democratic Party, Zandaakhuugiin Enkhbold, disputed this on social media shortly after the finance minister's statement. As such, the issue is yet to resolved. Mr Choijilsuren stated in the August 9th televised address that the country's ratio of government debt to GDP is expected to reach 78% in 2016, compared with an official target of 55%. In addition, he noted that the foreign reserves of the Bank of Mongolia (the central bank) were in deficit by US$429m. These developments, in combination with the rapidly falling value of the local currency raising the cost of external debt, mean that Mongolia could face a balance-of-payments crisis, whereby the government is unable to service its existing debt and raise new finance internationally. The government subsequently announced plans to issue a consolidated, single budget for 2016 in order to detail the state of fiscal revenue and expenditure accurately. In addition, the prime minister, Jargaltulga Erdenebat, sent a request to the speaker of parliament to call an irregular session of the legislature to present 2016 budget amendments that are hoped to cut expenditure. We will continue to monitor the situation and may look to downgrade Mongolia's sovereign risk rating should new data show a significant deterioration in the public finances. We will also cut our fiscal balance forecasts for 2016–17. Ulaanbaatar, August 18 (MONTSAME) In the first 7 months of 2016, total equilibrated revenue and grants of the General Government Budget amounted to MNT 3040.2 billion and total expenditure and net lending amounted to MNT 5014.3 billion, representing a deficit of MNT 1974.1 billion in the balance. Tax revenue reached MNT 2661.1 billion, which has decreased by MNT 85.8 billion or 3.1 percent compared with the same period of the previous year. This decrease was mainly due to decreases of MNT 135.4 billion or 32.6 percent in other taxes, notwithstanding the fact that social insurance revenue and taxes on property increased by MNT 47.1 billion or 17.8 percent compared to the same period of last year. In the first 7 months of 2016, total expenditure and net lending of the General Government Budget reached MNT 5014.3 billion. 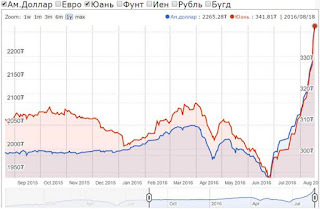 It has increased by MNT1233.6 billion or 32.6 percent compared with the end of July of 2015. This increase mainly reflected increases of MNT 538.3 billion or 17.0 percent in current expenditure, by MNT 120.4 billion or 20.7 percent in capital expenditure against the same period of the previous year. Ulaanbaatar, August 18 (MONTSAME) In the first seven months of this year, 45,606 mothers delivered 45,816 children (live births) which decreased by 1,477 mothers or 3.1% and 1,542 children or 3.3% against the previous year. In the period, infant mortality reached 899, showing an increase of 172 or 23.7%; under-five mortality counted 1,074, increasing by 209 or 24.2% compared to same period of the previous year. Ulaanbaatar, August 18 (MONTSAME) Number of the unemployed reached 30.5 thousand at the end of July 2016 which decreased by 0.5 thousand people or 1.7% against the previous year and by 2.2 thousand people or 6.7% against the previous month. According to a labor force survey in the second quarter of this year, the economically active population reached 1,263.7 thousand aged 15 over at the national level. 671.7 thousand or 53.2% of them are male, while 592.0 thousand or 46.8% are female. Above mentioned survey shows that 131.9 thousand people were unemployed. 82.4 thousand or 62.5% of them are male and 49.5 thousand 37.5% are female. Currently, the unemployment rate is 10.4 percent at the national level. Ulaanbaatar, August 18 (MONTSAME) The industrial production index (seasonally adjusted) was 148.6 (2010=100) in July 2016, showing increase of 18.6 percent compared with the same period of last year, by 13.3 percent against the end of the year and 1.4 percent compared to June of 2016. In the mining and quarrying sectors, the extraction of products such as crude oil, coal, molybdenum with concentrate, copper concentrate (35%) and gold increased by 3.2-67.5 percent, and in the manufacturing sector, the production of copper (99%), beer, bakery products, buuz and dumpling, soft drinks, milk, alcoholic beverage, sausage, railway sleeper, printing plastic cards increased by 0.6-58.7 percent compared with end of July of the previous year. However, in the mining and quarrying sectors, the extractions of iron ore, zinc concentrate, fluorspar concentrate, broken or crashed stone decreased by 0.1-41.7 percent, whereas in the manufacturing sector, the production of major commodities such as bread, pure water, wooden building door and windows, cigarettes, lime, sawn wood, cement, articles of iron concrete, medical tablets, vacuum windows and doors, metal steel, metal foundries, steel casting decreased by 5.3-94.5 percent. August 18 (Bloomberg) Back in 2008, Mongolia honored its revered national hero Genghis Khan with an enormous, stainless steel statue on the bank of the Tuul River about a half-hour's drive outside of the capital of Ulaanbaatar. The 13th century conqueror's name graces the capital's international airport and his image is also plastered on the tugrik, the local currency. Right now, Khans aren't getting much respect. The government, having burned through much of its foreign currency reserves, faces a crushing debt burden and is having trouble meeting its civil service payroll. On Thursday, the central bank hiked its benchmark interest rate by a remarkable 4.5 percentage points to 15 percent to prop up the tugrik, the world's worst performing currency in August. Mongolia, a mineral-rich and landlocked $12 billion economy bordering Russia and China, is staring at a full-blown balance of payments crisis. It's caused barely a ripple in global financial markets, but the nation's economic meltdown offers instructive lessons to far bigger resource-reliant economies like Brazil, Venezuela, Russia and Saudi Arabia. This is an economy that gives new meaning to what economists call the resource curse. An overabundance of natural resources can result in lopsided economic growth, government waste and boom-bust cycles that can leave a country's finances in tatters. "Mongolia should be much richer than it is," said Lutz Roehmeyer, a money manager at Landesbank Berlin Investment who helps oversee about $12 billion of investments including local-currency Mongolian debt. "There is nowhere else in the world where it is so easy to dig up resources without any problems and sell the commodities to China with such low transportation costs." During the commodity super-cycle that peaked in 2011, Mongolia had an epic run. In an International Monetary Fund working paper published last year, the country's mineral wealth -- including coal, copper and gold -- was valued at between $1 trillion to $3 trillion. Stoked by a booming Chinese economy and brisk foreign direct investment flows, Mongolia was one of the fastest-growing economies in the decade that ended in 2015. Its economy clocked in with an average real GDP growth rate of 8 percent, while per capita income surged to about $4,000. It all went bad when China's growth throttled back from double-digit levels in 2011, just as a coalition government led by Altankhuyag Norov went on a debt-fueled spending binge. In 2012, Mongolia was living large in the global debt markets. The country sold $1.5 billion in sovereign debt, known as Chinggis Bonds (the Mongolian rendering of Genghis), that year to largely finance road projects across the country. When the boom went bust, the country's path to its current crisis was set. In June elections, the Mongolian People's Party unseated the Democratic Party in a landslide election win, returning to office the party that ruled the former Soviet bloc satellite unopposed during the nation's Communist Era. In his acceptance speech, the country's new prime minister Erdenebat Jargaltulga didn't mince words about the task ahead. "The focus will be on urgent stabilization of the economy, plus fiscal discipline." Then came the collapse of the currency this month. The nation's finance minister, Choijilsuren Battogtokh, used a national television address to declare an economic crisis. Local media have carried reports of overcrowded hospitals and kindergartens as officials say they cannot afford to finish existing projects. Foreign exchange reserves tumbled to $1.3 billion at the end of June , a 23 percent decline from a year earlier. Steep salary cuts of up to 60 percent are being forced on some staff on the state payroll. Money that's already allocated to buy office furniture is being recalled. The central bank was forced to hike interest rates to defend the tugrik after lowering them in May. Yields on 10-year government notes have jumped more than 2 percentage points since they were issued in 2012 and now trade above 7 percent. Soaring borrowing costs have fueled speculation the government may need aid from the International Monetary Fund, whose officials arrived in Ulaanbaatar for talks this week. It isn't hard to find a cause for Mongolia's woes. Much of it can be pinned to an over reliance on demand for its deep reserves of copper, iron, coal and gold. The slowdown in China -- which takes more than 80 percent of Mongolia's exports -- is hurting the nation. "That all spells bad news for Mongolia, which doesn't have an easy plan B," said Kerry Brown, a professor of Chinese studies and director of the Lau China Institute at King's College London. "It has very little services, and largely relies on agriculture as a backup. It is also of course very very sensitive about being over reliant on China, because of the complex and fractious history." Investors were then rattled when the finance minister unveiled forecasts showing that the country's ratio of government debt to gross domestic product will reach 78 percent this year. This would take the country's debt-to-GDP ratio close to that of Ukraine, which had to restructure its dollar debt last year and still has an 18 percent probability of default, according to a Bloomberg measure. The prime minister has promised to push through an action plan that centers around spending cuts, debt reduction and attracting foreign investment. While the government said it wants to avoid a default, the risk is becoming a source of concern. The government is scheduled to repay about $650 million of its sovereign foreign-currency bonds in 2018 and another $1.5 billion in in 2021 and 2022, according to data compiled by Bloomberg. In total, Mongolia has about $5 billion in general government debt, according to the finance minister. "It seems unlikely that the country will be able to avert the need to restructure its debts or seek a bailout from the IMF," said Renata Lagierska, a senior associate at a Alaco, a London-based business intelligence consultancy. Mongolia, home to about 3 million people and more than 70 million livestock, has had repeated bailouts and assistance from the IMF. The most recent was during the global financial crisis in 2009 after which the economy recovered to post a growth rate of 17 percent, spurred by construction of the first phase of the giant Oyu Tolgoi copper and gold mine. To be sure, by talking up a crisis, some suspect the new government is looking to win support for austerity measures. "It was politically motivated to really bring a sense of urgency to convince the IMF and investors that they are on the right track," said Yerlan Syzdykov, a London-based emerging-market bond manager at Pioneer Investment Management, who has an overweight position on Mongolian debt. "The high debt-to-GDP number gives them good ammunition to devise a program of austerity and increase GDP." While it's possible that Mongolia navigates its latest crisis, the risk of a protracted downturn is looming large for world's most sparsely populated country that's best known for its rolling plains -- and the legend of Genghis Khan. Ulaanbaatar, August 18 (MONTSAME) At the Cabinet's regular meeting of Wednesday, acting directors and leaders were appointed for government departments. G.Ganbold was dismissed from his position as the deputy head of the Cabinet Secretariat and replaced by U.Byambasuren, as acting deputy. D.Murun was appointed acting director of the Department for Foreign Citizenship and Expatriate Affairs, O.Altansukh – acting director of Department for Family, Children and Youth Development, B.Chinbat – acting director of Department for Communication and IT, and S.Enkhtuvshin – acting director of National Agency for Meteorology and Environmental Monitoring. August 17 (news.mn) 'Ulaanbaatar Railway' joint venture company of Mongolia and Russia faced MNT1.8 billion fines by the Authority for Fair Competition and Consumer Protection (AFCCP). 'Ulaanbaatar Railway' had raised the prices of train services from 1st of July. According to the law of fair competition, when a monopoly company raises the prices of their service, it must first be investigated by AFCCP. 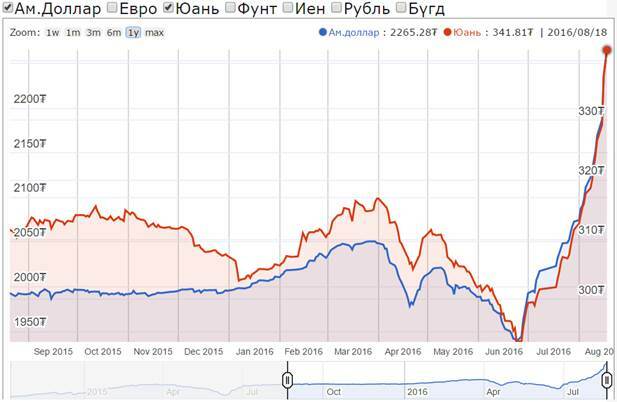 According to law, the company now owes MNT1.8 billion or 3% of overall revenue for 2015. Ulaanbaatar, August 18 (MONTSAME) Concept of the draft amendment to the law on custom tax designation for some products was considered by the cabinet on the regular meeting of Wednesday and approved. In the margin, the Minsters decided to submit a bill on exempting export taxes for products of livestock origin to Parliament. The bill is to be developed by the Ministers of Justice and Domestic Affairs and of Finance and will be first discussed by the cabinet. The draft proposes that the regulation will take effect from January 1 of 2017, and expects to increase exports of agricultural products, boosting growth of this sector and improving incomes of livestock herders. - The cabinet decided on Wednesday to allot money from the governmental reserve for giving incentives to those emergency servicemen who worked at scenes of disasters, for expenses of abolishing spread of livestock diseases and for giving shelters to families that lost their houses due to natural disasters. - A financing will be placed in a clarification of the 2016 budget in order to complete constructions of paved-roads in routes Ondorkhaan--Choibalsan (143 km), Tosontsengel--Uliastai (67 km), Tsakhir--Tosontsengel (127.1 km) and Bulgan--Uyench--Khovd (60 km). - An obligation was given to the Minister of Justice and Internal Affairs to monitor implementation of decisions on administrative actions. August 17 (news.mn) Former President N.Enkhbayar is facing fresh allegations of corruption, fraud and breaching the law. According to G.Byasman attorney at the State General Prosecutor's Office, his case is now being investigated. On several occasions Mongolian law enforcement officers ordered him to come to testify; but Mr.Enkhbayar never came. He explained that he didn't have a lawyer. Subsequently, the State General Prosecutor's Office has charged him with corruption. Last year, N.Enkhbayar was pardoned of corruption charges by the man who replaced him (President Ts.Elbegdorj) in the 2009 election. N.Enkhbayar has been jailed for four years after being convicted of corruption in 2012. August 17 (news.mn) Mongolia has prisoner extradition agreements with nine countries. Within the framework of one such agreement, Mongolia received one inmate from China in a prisoner swap early 2016 and has requested to exchange nine others. Three foreigners (two Bangladeshi and one Chinese citizens), serving in a jail in Mongolia has been requested to be transferred by prosecutors from China and Bangladesh. Mongolia has requested a prisoner swap of four inmates from South Korea, Turkey, China and Malaysia. In total, 130 Mongolians are serving time in foreign prisons. August 18 (UB Post) What Mongolia needs most at this point is an Olympic gold medal. Right now, pretty much everyone who cares about what is going on in the country is scrunching up their foreheads. They need something to lift up their spirits. Alarm bells rang throughout the nation after the Minister of Finance, B.Choijilsuren, made sure to milk every single drop of grim fact about the country's finances and dim prospects during his public address about the country's economy given earlier last week. The new Finance Minister said the country is in great debt and has suspended four projects started by the previous government, as financing for the projects was not included in the state budget, and thereby deemed "illegal" by the new cabinet. The projects include the Good Investment, Good Student, Good Fences, and Good Herder projects, which largely issued soft loans to participants in the projects. In response, former Speaker of Parliament Z.Enkhbold and former Mayor of Ulaanbaatar E.Bat-Uul retaliated against Minister B.Choijilsuren's decision and claimed that the projects were not doing anyone harm, and that they were not included in the state budget because they are to be repaid by borrowers and by the state. Z.Enkhbold also claimed that the state's budget deficit is the same as it was four years ago, when the Democratic Party took over state affairs: one trillion MNT. He said that the new cabinet is trying to discredit the Democratic Party and is causing economic turmoil by spreading exaggerated claims about the country's economic woes. The Democratic Party are saying the B.Choijilsuren's announcement was a way of indirectly saying the Mongolian People's Party will not keep their election promise to not increase Mongolia's debts further. Though there is still debate about whether the economy is really as bad as the new Finance Minister makes it out to be, mainly because GDP is still growing (an expected 1.3 percent this year) rather than shrinking, the impact of inflation on people's lives makes it difficult to be optimistic about the economy. It is a fact that long before the public briefing by the Finance Minister, business activities and the living conditions of the people of Mongolia have been taking a hit from the economic slowdown. But after the briefing, things went from bad to worse. Currently, businesses are cutting costs and families are tightening their belts all across the country. The country owes 23.5 billion USD to foreign lenders, five billion of which is owed by the government alone, and state budget revenue this year is expected to be 1.8 trillion MNT short of its goal, according to B.Choijilsuren. As Mongol Bank's foreign currency reserve is in the red, currency exchange centers and banks can pretty much name whatever price they want for currency trade. USD rates were as high as 2,280 MNT, the highest ever recorded in history. Already, the prices for goods are rising due to the depreciation of Mongolian currency. A local newspaper reported recently that the price of a Toyota Prius XW20, the most popular and sought after car in Mongolia, has risen by 500,000 to 1,000,000 MNT since June. Car prices have been dropping steadily since last year, and they were expected to drop even further after import taxes were lifted through the economic partnership agreement with Japan, Mongolia's primary supplier of used vehicles. Grocery shops and corner stores have increased prices for many of their goods by a few hundred MNT, especially imported food products. Drinks that cost 1,200 MNT two weeks ago cost 1,400 MNT this week. Similarly, many other product prices are increasing by small amounts. The erratic inflation rate and the grim outlook the Minister of Finance provided are aggravating frustrated business owners and people trying to make ends meet. There is a palpable tension growing in society as people become unable to afford the things they could purchase only a month before. Living in an unhappy society is miserable, at best, and downright dangerous, at worst. But there is one thing that can lift people's mood: if Mongolia wins medals at the Olympic Games. It has been proven to heal social tension in Mongolia. In 2008, the riot of July 1 left the people of Mongolia shaken, and there was a dangerous vibe in the streets of Ulaanbaatar. The riot resulted in the deaths of five people and the burning down of the Mongolian's People's Party headquarters in the heart of the city. The global economic recession of 2008 didn't help either. But when Mongolia won gold medals in judo and boxing at the Beijing 2008 Olympics, it lifted the tension in society, and the optimism planted the seed that would help Mongolia overcome the effects of the global economic recession. People in the street smiled and hugged, when the streets had previously been empty and disheveled. And here we are again, another Olympics and more economic turmoil. So far, Mongolian fans who have been staying up until the early morning hours in the hopes of seeing Mongolian athletes win medals at the Rio 2016 Olympics have been largely disappointed with the results, especially after the elimination of former Olympic champion N.Tuvshinbayar in judo. Aside from D.Sumiya's silver medal in judo, D.Otgondalai won bronze medal in men's 60 kg. The strongest hope for gold medal at the Olympics is S.Battsetseg in women's 63 kg freestyle wrestling, who's first match will take place at 10:24 p.m. tonight. Mongolian fans are still not quite satisfied with the number or the color of the medals Mongolia has won, especially after the buildup of expectations put forward by officials who promised at least eight medal wins. If Mongolian athletes fail to capture a gold medal, the disappointment will surely worsen the tension in society. It seems that much more than just sports achievements rests on the shoulders of the Mongolian Olympians. So here is hoping for a gold medal, not just for Olympic glory but for the morale of the nation. August 17 (Open Government Partnership) This blog is part of a series on how open government can help achieve the Sustainable Development Goals (SDGs). The series came out of a collaboration between the United Nations Development Programme (UNDP) Bangkok Regional Hub and the Open Government Partnership (OGP) to find practical examples of how open government is helping countries achieve the SDGs in the Asia-Pacific region. For more details on the competition, the blog series, and how open government can help achieve the SDGs, please see our introductory blog post. When I travel abroad and meet with my foreign counterparts, colleagues, and friends, I always ask them one question. "To what extent are you and the people of your country satisfied with the quality and delivery of public services? Can you receive the service you want?" It's interesting to know how the governments of other countries serve their people. Research done by Mongolian CSOs from 2008 to 2010 showed that over 80% of respondents in the country are not happy with the public services they receive. Although Mongolia is on the list of middle-income countries, there have been no tangible improvements in people's lives yet. Social inequalities are rising, and the gap between rich and poor is widening. Here are some examples. Mongolia spends around 20% of the state budget on education, but there are 40 to 50 children in a classroom, in three shifts. Too many children are crammed into a small classroom, suffer from a lack of fresh air, and get irritated and distracted. This is the situation our children endure to obtain education. In another example, citizens pay taxes for 9 doctors to staff local family health centers, but only 5 actually work. Last but not least, citizens have to knock on ten doors to get a single document. This was the real situation. I asked myself, "Should the citizens keep silent? Should this situation happen again and again?" My organization said a decisive "No!" and decided to do something to change things, and contribute to the improvement of public services in Mongolia. To solve this problem, my organization, the Democracy Education Center (DEMO), launched the Check My Service initiative in 2012. This initiative aims to assess the transparency and delivery of public services through the Community Score Card (CSC) tool. In short, this is a community based monitoring tool that demands transparency and responsiveness from service providers, and empowers the service users as well. By June 2016, DEMO had assessed 84 public services through this initiative. These services were monitored through individual feedback portals like Check My University, Check My School, Check My Clinic, Check My Hospital, Check My Kindergarten, Check My Social Welfare, Check My Bus, Check My Water Kiosks, Check My Electricity Supply, Check My Street Lights, Check My Surveillance Camera, Check My Land Administration, Check the Waste Disposal, Check the Wastewater Pits, Check the House Addressing, and many others. In OGP terminology, we had implemented 84 commitments. It is interesting to note that people in Mongolia used to cast blame and criticize when things were not going well, or public services were not being delivered properly. This was not effective. DEMO has chosen a new path. We teach citizens how to collect information about public services and how to verify service delivery with facts and evidence, show them how to present the results to service providers, and how to constructively engage with the government. I'm very happy to share some of the results we've achieved so far. Although they may appear to be small changes, they are important and significant to the people using this initiative. Before DEMO's scorecard monitoring in 2012, public information was not disclosed, and citizens were not well-informed about the implications of the Freedom of Information Act and the Glass Account Law. We succeeded to making necessary information - like budget expenditures in assessed organizations - transparent. In one example, financial and performance information of 84 different public organizations is disclosed on public information boards and on websites, and updated on regular basis. DEMO has been able to disrupt bureaucratic approaches towards service delivery, empowering service recipients to check and claim the quality and accessibility of services based on evidence and facts. Thanks to the Check My Service initiative, ordinary citizens are now aware of their entitlements to public services. 88 intermediaries, all of whom were trained and mentored by DEMO, are now teaching citizens that, before one criticizes the government, or argues with a public official, data must be collected, then complaints must be verified with facts. Only after that can one make a formal complaint and/or demand better services. Intermediaries teach this approach to their family members, friends and relatives as well. The Check My Services initiative uses a constructive engagement approach between citizens, CSOs and the government. At the start of each assessment, a memorandum of understanding is signed with the government service providers clarifying roles and responsibilities of all stakeholders. This is followed by an orientation workshop conducted by DEMO for both service recipients who assess public services using citizen scorecards, and service providers who self-assess their own process using indicators agreed upon by the stakeholders. Once both sets of assessments are carried out, we facilitate an Interface meeting where for feedback and dialogue on findings from both exercise. Unsurprisingly, service providers tend to assign themselves higher scores in their self-evaluation, compared to the score they receive from the service recipients. Reasons for the discrepancies are discussed at these meetings and a joint Action plan for service improvement, with specific timelines is then agreed upon. As a follow-up, DEMO checks the implementation of action plans, tracks changes in public service delivery, and advocates for policy actions if necessary. Often we find when the citizen assessment is carried out subsequently, scores assigned by service recipients show signs of improvement in the service quality or accessibility. · LCD computers with large touch screens at local administrative offices: As the result of the implementation of joint action plan commitments for service improvement, citizens can now receive vital information from LCD PCs with large touch screens installed at their local administrative offices. Before, they had to knock many doors and spend lots of time to get that information. Citizens can get registration documents, check their electricity use, see the provision of social welfare services, and other necessary information. · Ticketing machine installed in district-level hospital: Before the implementation of the ticketing system at hospitals, citizens had to arrive at the hospital at 5 in the morning, and wait in long lines to get the ticket for doctor's appointments. Following the installation of ticketing machines at hospitals, people can come to hospitals at 9 in the morning, get a ticket and get a doctor's appointment without waiting. · Waste disposal bins installed in 38 households in a non-apartment district: Before, garbage trucks came to pick up trash at inconvenient times, and citizens were unable to take out the trash because they were at the office or away from home. Now, with the installation of waste bins, 38 households do not have to worry about trash collection. · Renovation of water kiosks: In distant districts of metropolitan areas, people would have to walk a long way to get water for their households. After renovation, when the water kiosks started operating, it allowed households who live far away to get water closer to home. These are just a few of the changes that resulted from empowering citizens, bringing together service recipients and service providers and creating the space and environment for them to have dialogue on how different stakeholders can take action to improve public services. In the next phase, DEMO is planning to develop and pilot a mobile application, eCheckMyService, for government to receive citizen feedback and requests, and allow citizens to report service issues they are concerned about and monitor the government's responsiveness. This initiative has been included as a commitment in Mongolia's 2016-2018 OGP NAP. Also DEMO considers the launch of Check My MP (Member of Parliament) initiative with the aim to monitor the openness and performance of Members of Parliament of Mongolia. Ulaanbaatar, August 18 (MONTSAME) At its regular meeting held Wednesday, the cabinet approved a concept of a draft amendment to the law on income tax on entities. In accordance with the adopted concept, tasks were given to the Minister of Finance and the Minister of Justice and Internal Affairs to formulate the draft amendment and to discuss it at a cabinet meeting. Pursuant to the concept approved by the cabinet, an entity earning up to MNT 1.5 billion a year shall pay one per cent income tax. TIANJIN, August 18. /TASS/. Thursday's start-off for the China-Mongolia-Russia motor rally in the Chinese port city Tianjin demonstrated a symbolic way to open freight traffic via a new economic corridor from Asia to Europe. Russia, China and Mongolia have set off to develop a new system of trans-border transportation links, Director General of Russia's Agency of Automobile Transport Alexei Dvoynykh told TASS on Thursday. The motor rally seeks to demonstrate the possibilities of international motor freight transportation, by widening economic ties between the countries and eliminating red tape, the organizers emphasized. Eight heavy trucks will travel over 2,200 kilometers to reach Ulan Ude, the capital of Buryatia, the south-central region of Siberia, on August 24. The participants will drive to China's Zhangjiakou, which is scheduled to host the 2022 Winter Olympics, Mongolia's capital Ulan Bator and finally reach Russia's Gusinoozersk, Ivolginsk and Kyakhta. "This is a new network of automobile links between Europe (Russia) and Asia (China), and Mongolia as transit country is another player on this shipping operations market," Dvoynykh said, adding: "This is a completely new automobile route. These new mutual ties will help break down barriers allowing the regions and countries along this transport route to develop." Some 50% of cargo that is to be shipped via the transport corridor would be "foodstuffs, shoes, textiles, furniture, industrial goods, toys and sports equipment from China," Russia's automobile transport agency head stated. "The new automobile route will allow the delivery of various export cargos that are produced in Russia's East Siberian regions. Timber, pulp and paper goods, non-ferrous metals, cars and equipment, including electrical products, and also agricultural goods will be shipped from Russia," he explained. China's Deputy Transport Minister Liu Xiaoming said, "I hope that this will help the local administrations, businesses and respective agencies of the three countries to enhance cooperation in transit traffic to boost the development of international automobile transport and create good conditions for it." This June all three presidents, Russia's Vladimir Putin, China's Xi Jinping and Mongolia's Tsakhiagiin Elbegdorj, adopted a program of building an economic corridor between the countries following a trilateral meeting. The economic corridor project between the Russian Federation, China and Mongolia includes some 30 ventures. Ulaanbaatar, August 18 (MONTSAME) Mayor of Ulaanbaatar, Mr S.Batbold welcomed in his office on Thursday, the Head of Asia Infrastructure and Natural Resources Department at International Finance Corporation (IFC), Mr Hyun Chan-Cho. The Mayor sounded his interest in cooperating with the IFC in infrastructure development, building housing apartments, creating workplaces, improving governance and the citizens' participation. "Your expertise and investment is highly valuable in solving the urgent problem facing Ulaanbaatar", he said. In response, Mr Hyun said that the IFC is interested in collaboration in water treatment, solar energy usage and development of public transport. Moreover, because the private companies offer numerous projects on solar energy and water treatment, "we would like to advise you to improve Public and Private Partnership", he said. August 18 (UB Post) Kid's Swapping Event is set to take place at the National Amusement Park on August 20. Kid's Swapping Event will surprise participants with the amount of services and contributions by parents and people who love kids. Buy, sell, swap and donate toys, books, new and old clothing, and furniture for children at the event. When: August 20, 2:00 p.m.
Ulaanbaatar, August 18 (MONTSAME) Deputy Premier U.Khurelsukh received Thursday Xing Haiming, the Ambassador Extraordinary and Plenipotentiary of the People's Republic of China to Mongolia. The parties discussed issues of the bilateral relations and cooperation, and exchanged views on intensifying the cooperation in the agricultural sphere, supplying meat to China, establishing a meat-processing factory in Mongolia and constructing apartments in ger areas of Ulaanbaatar. The sides emphasized significance of the Mongolia-China Council of Minerals, Energy and Infrastructure Cooperation for the mega-projects and great construction works. Then they agreed that hosting the first meeting of this Council, letting Mongolia make its transit-transport through Chinese territories, providing Mongolia with soft conditions for accessing sea ports and ratifying a document on border checkpoints will immensely contribute to the bilateral economic cooperation. August 18 (news.mn) Today (18th August), Mongolian soldiers who are to be contribute to the UN peacekeeping mission "Decisive Support" in Afghanistan, are participating in a ceremony to honour the banner of the Mongolian Armed Forces. More than 100 selected soldiers in two teams (medical and combat), are to fly to South Sudan or Afghanistan. Of them, 76% already have experience on previous peacekeeping operations. The United Nations pays USD1380 per month per peacekeepers from troop-contributing countries, such as Mongolia. USD1380 currently converts to approximately MNT 2,760,000. Peacekeepers are paid by the UN a total of MNT 16,560,000 for six month and 33,120,000 for one year. Since 2002, Mongolia has been a significant contributor to UN peacekeeping missions as well as contributing to non-UN operations. From 2005, it contributed a little over 200 troops to peacekeeping and after a short period of fluctuation, significantly increased its contributions in 2012 as a result of its contribution to the UNMISS mission in South Sudan. Mongolia has deployed 4,800 personnel for UN peacekeeping missions, as well as more than 3,500 personnel to non-UN missions in Afghanistan, Iraq, and Kosovo and 145 officers (including 102 UN military observers) for various staff assignments. Ulaanbaatar, August 17 (MONTSAME) Peace Corps director Carrie Hessler-Radelet joined U.S. Ambassador to Mongolia Jennifer Zimdahl Galt at the swearing in of Mongolia's newest cohort of volunteers on Saturday, the US Embassy website published Monday. The ceremony took place at Mongolia's National Opera Theater during a celebration honoring 25 years of partnership between Mongolia and Peace Corps. "We are so proud to continue our important partnership with this beautiful country," Director Hessler-Radelet said during the ceremony. "Through the service of our Peace Corps Volunteers--and the collaboration of their Mongolian counterparts, host families, community members, friends, and supporters-- the hearts of our two nations have been forever connected." In addition to U.S. Ambassador Galt, Vice Foreign Minister B. Battsetseg, and other distinguished guests attended the 25th Anniversary Celebration. During the event, Ambassador Galt swore in 46 volunteers who will be working as English Education and Community Development volunteers throughout Mongolia. They are the 27th group of volunteers to serve in Mongolia since the program was founded in 1991. Over 1,225 Volunteers have worked in Mongolia in the areas of community and youth development initiatives, health education, economic development and teaching English as a foreign language. The celebration took place during Director Hessler-Radelet's first trip to Mongolia as Director. During the trip, she has met with government officials including President Ts.Elbegdorj and visited Peace Corps volunteers in their communities. July 26 (The Jamestown Foundation) On the eve of Russian Prime Minister Dmitry Medvedev's visit to Ulaanbaatar, Mongolia, for the 11th Annual Asia-Europe Meeting (ASEM) summit (July 15–16), an article appeared in the Russian media entitled, " 'An Old Friend is Worth Two New': It's time for Russia to turn towards… Mongolia" (Fort-russ.com, July 9). The piece examined the weakened state of Russian-Mongolian relations in the post-Communist era and called for Russia to return to its position of influence in a country once firmly tied to the Soviet sphere and often called the Soviet Union's 16threpublic. In 2016, already there have been signs that the Russian government is moving in this direction: in February, Moscow decided to grant Mongolia $1.3 billion in new loans to import Russian fuel (The UB Post, February 5); in March, the Russian Federation wrote off Mongolia's $174 million debt after a one-off payment of $3.8 million (The UB Post, March 2); on June 23, Mongolian President Tsakhia Elbegdorj's "Economic Corridor" initiative was finalized at the Russian-Mongolian-Chinese trilateral meeting on the sideline of the Shanghai Cooperation Organization (SCO) summit in Tashkent (Mongol Messenger, June 24); and on June 28, Russian-owned shares in the Erdenet copper mine and mining firm Mongolrostsvetment were suddenly mysteriously sold off to a newly formed Mongolian company (Mongol Messenger, July 1). Such warming trends in Mongolian-Russian relations are likely to accelerate, particularly following the June 29 election of a new Mongolian government, which saw the return to power of the Mongolian People's Party (MPP)—a political faction with socialist-era roots as the country's Soviet-supported Communist party. Earlier this year, Mongolia asked the Russian Federation for $1.3 billion in loans over a 36-month period to meet its domestic fuel demands, especially in the mining industry. This deal would finance the purchase of 1.3 million tons of fuel annually and decrease domestic price fluctuations for retail fuel, while stabilizing prices for staple goods and resolving pressure on Mongolia's foreign currency reserves. In June, the Russian VTB Bank, supported by the Russian Agency for Export Credit and Investment Insurance (EXIAR), issued the first $65.4 million of a $300 million line of credit to the Development Bank of Mongolia (DBM), under governmental guarantees of Mongolia's Ministry of Finance (Mongol Messenger, July 1). Mongolia's outstanding $174 million debt to Russia—which has now been forgiven—had been an impediment to deeper investment cooperation in Mongolia's construction and mineral production markets. A 2010 deal between Moscow and Ulaanbaatar took six years for the Russian legislature to approve (Sputnik News, January 31, 2016). Another looming problem since 2009 involved the terms of an intergovernmental agreement for rail transportation of Mongolian exports via Russia (Mongol Messenger, June 24, 2016). The draft was finalized by the outgoing Mongolian cabinet and signed by Russian and Mongolian officials at the Tashkent Summit as part of the trilateral Russian-Chinese-Mongolian "Economic Corridor" program. The economic integration of the major infrastructure projects in Northeast Asia—Mongolia's Steppe Road, China's One Belt and One Road Initiative, and Russia's trans-Eurasian transit corridor—is considered by Ulaanbaatar to be the first concrete outcome of the past three years of tripartite talks. After 17 working group meetings, a total of 32 selected projects were divided into 13 categories: railway infrastructure, the AN-3 Asian auto road network and eastern auto road, airlines, industry, energy, the renovation of border checkpoints, trade, specialized customs inspections and quarantine measures, environmental protection and ecology, scientific and technical partnerships, humanitarian cooperation, agriculture, and medicine. Although funding must still be clarified, the three sides agreed to establish a co-financed Investment and Projecting Center. Further studies will also be conducted regarding the construction of a Moscow–Beijing high-speed railway line through Mongolia; establishing an economic zone through Heilongjiang, Russia, Mongolia and Inner Mongolia; and renovating the Russo-Mongol electrical network. All these projects are designed to deepen trilateral economic cooperation and regional economic integration, increase trade flows, maintain trade competitiveness, as well as enhance trans-border transportation. This plan will also establish trans-border ecological corridors to enhance tourism, including a "Triangle of Great Lakes" involving Mongolia's Khuvsgul Lake, Russia's Baikal Lake and China's Hulun Lake, and create a "Great Tea Road" tourism brand (Mongol Messenger, July 1). The day before Mongolia's election, then–prime minister Chimed Saikhanbileg announced that Russian Rostec had sold its 49 percent share in the Mongolrostsvetment and Erdenet joint ventures. The latter is a giant ore mining/processing site that produces 530,000 tons of copper concentrate and 4,500 tons of molybdenum concentrate per year. The sale, estimated at $500 million, was to Mongolian Copper (Mongoliin Zes), a new private company funded by Mongolia's Trade and Development Bank (TDB). Because the details were not released, the sale was immediately decried by the MPP as evidence of governing party corruption and an issue of national security. Some independent Mongolian economic analysts, such as Dugar Jargalsaikhan (a.k.a. Jargal de Facto), opined that the non-transparent transaction was repudiated by the Mongolian people and may have provoked the MPP's unexpected landslide victory. 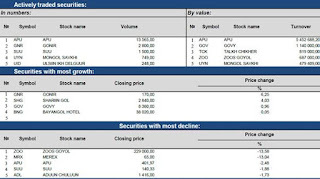 It was claimed that the address of record for the purchasing corporation was the same as for Bloomberg TV News Mongolia, which is a partnership between Bloomberg Media Group and TDB (Mongolianbusinessdatabase.com, July 13). Purportedly, despite the strong opposition of some in the Russian foreign ministry, President Vladimir Putin himself was persuaded to allow the deal to go forward (Ocnus.net, July 14). This sale could also have been part of a Russian maneuver to compensate Mongolia after Moscow (in June) successfully pressured China to withhold Asian Infrastructure Investment Bank (AIIB) funding for Mongolia to construct the Egiin Goliin Hydropower Plant. Russians believe this dam would threaten Lake Baikal, 580 kilometers downstream. At the Tashkent Summit, President Putin said the proposed hydroelectric plant would create "serious risks" to the water supply in the Irkutsk region, but he proposed "increasing the supply of energy" to Mongolia, which annually relies on $25 million worth of electricity imports from Russia (Bloomberg, July 11). August 18 (UB Post) Shangri-La Mall will hold Back to School exhibition fair for students on August 20 and 21. Students are currently preparing to go to school, which will start on September 1. Stationaries, books and toys will be on sale at the fair. NEPKO Publishing, Golden Pen, Silver Pen, Creative House Mongolia, As Khur Bookstore, Mongolian Intellectual Academy, Mongolian Intellectual Museum, and Brick House will participate in the fair. When: August 20 and 21, 12:00 p.m.
Mongolists celebrating 90th jubilee of Roerich's "Shambala Quest"
Ulaanbaatar, August 17 (MONTSAME) In the margin of the 11th International Congress of Mongolists, taking place in Ulaanbaatar on August 15-18, the Mongol studies' scholars along with historians and Roerichs Society members are celebrating the 90th anniversary of the Central Asian Expedition of Nikolai Konstantinovich Rerikh (a.k.a Nicholas Roerich), in quest of Shambala. He lived on the "Hilltop of Consul" of Ulaanbaatar for eight months, completing some extraordinary paintings and books, in the small wooden building of the Russian Consulate to Mongolia, which is now the "Roerichs Shambala Museum". Later, his son Yuri Nikolaevich Rerikh (George de Roerich) have laid the foundation stone of the global Mongolian studies in the 1950s. At today's (August 17) event, a disciple of the Roerichs and the Labor Hero (title) and State Honored Academician of Mongolia Sh.Bira gave the opening address and handed gratitude acknowledgements to the dignified figures, who have made valuable contributions to the growth of Mongolian studies. These dignitaries were, Austrian scholar Christoph von Gierke, Director of the Saint Petersburg State Museum of the Roerichs Aleksei Bondarenko, painter and sculptor P.Norovsambuu and the international award-winning guitarist Alexander Saga. The Roerichs Shambala Museum is fully operational and open for visitors, with 5,000 MNT fee to enter. The place offers great insight to Roerichs' unique paintings, his working room and many other exhibitions related to the Father Roerich's expedition in Mongolia and his son's further studies on Mongolia. August 3 (Alexander Global Logistics) Last week we moved the second lot of four large fire engines from Austria to Mongolia. The vehicles are destined for the airport fire brigade of Ulan Bator's new Chinggis Khaan International airport. AGL transported a similar lot of smaller fire engines a few months ago was for the Ulan Bator city fire brigade. Due to the superior performance on the first shipment, AGL's offices in Germany and Mongolia were awarded this shipment too. AGL has been present in Ulan Bator for more than 4 years with our own office which was opened in 2012. As a company we have several more years of experience working in this challenging market. Our Director of project, Juergen Weyhausen, has been active in Mongolia for more than 13 years, and was one of the first "western forwarders" in the country pioneering logistic services. August 11 (BookBlast) "'We few, we happy few, are gathered here, the descendants of Chinggis Khan's golden lineage. We, the scions of his personal guard, the Hishigten Army … ' Shaman Dulaan Boshgot paused, his granite-like eyes narrowing as he looked into the distance towards the ruins of Kharakorum, the once great capital lying in the vast Orkhon Valley of Central Mongolia. A sea of green velvety grassland was bathed in the golden rays of the rising sun. A smell of earth and horse sweat enveloped him. Behind him, he could hear his white stallion pawing at the stony steppe." Revising and restructuring a manuscript is generally done sitting behind the computer screen using Microsoft Word's handy editing tool, 'track changes', and drawing on over 20 years of experience in book publishing. So when I was emailed by the late Ariane Fasquelle in Paris, on 2 July, 2014, I had no idea that I would end up going on the ultimate road trip a year later, taking in the wilds of northern Outer Mongolia with the authors of The Green-Eyed Lama, and their entourage. Editing with Oyuna and Jeff kicked off 10 months after Ariane's first email. To 'translate' a culture, way of life and overlooked chapter of history for Western readers; offset universal themes and similarities of the human condition against local detail and differences; and ensure the book reads like a good work of historical fiction, is a fine balancing act. I'd revise 3 or 4 chapters and email them to the authors, who'd make comments and revisions in turn. We had face-to-face sessions once a week via Skype. A constructive relationship blossomed along with their novel, so we agreed that a visit would be a perfect finale. To get a feel for the land of Chinggis Khan, see some of the few remaining Buddhist temples, savour the northern steppes, and meet Oyuna's relatives descended from the herder families in her novel would give added detail and depth to the final draft due for delivery to Grasset & Fasquelle in Paris. Ariane was arranging for the book to be translated into French, for publication in 2017. August 18 (news.mn) Today, the 13th day of the Rio Olympics (18th August), P.Temuujin will compete in the men's 69 kg taekwondo competition. He is the first and only Mongolian to compete at Rio in this sport. Meanwhile, a lot nearer home, young Mongolia athletes have been competing in the 'Beijing Open' International Taekwondo Competition. In total, 10 young athletes between the ages of 8 and 14 years old, have participated this competition and have won 18 medals. August 18 (Sputnik) Extreme sports athletes are the modern day equivalent of gladiators. They have a strong love for adrenalin-inducing, dangerous endeavours. There seems to be a desire in a growing number of individuals worldwide to be able to undertake such 'extreme' endeavours and adventurists are popping up in all sorts of unlikely places. The Mongol Derby is one such endeavour… a grueling 1,000 kilometer endurance horse race re-tracking the likely journey of Genghis Khan across Mongolia riding on the back of semi-wild horses. Sounds like a hoot, but certainly not for the faint-hearted! The annual race is described on the organizers' website as "the toughest horse race in the world." It is also officially acknowledged as the world's longest horse race and every year groups of thrillseekers head out for their adventurist trip of a lifetime in order to make new memories and to be able to share some rather interesting tales with friends and family. ​The annual derby documents a fantastic array of multimedia during the full duration of the race including live blogging on Twitter and Facebook all the way to a great catalogue of photography and video content shared for others to feel rather jealous about. ​The Mongol Derby experience includes the chance for man (and woman!) and their "wild" beast to bond across the duration of the course, and if they don't bond each rider gets the chance to change horses after every 40km. Resting moments includes the experience of living with herders and camping under the stars and much unknown in-between. Each year around 40 professional, semi-professional and enthusiastic amateur riders compete for the derby crown and this year 3 riders crossed the winning line to take joint 1st place. ​43-year-old Canadian Lawyer Heidi Telstad was crowned the top spot, alongside fellow riders, Will 'Dingo' Comiskey, 28, a cattle rancher from Australia, and Marcia Hefker-Miles, 45, from New Mexico. "The adrenaline rush somehow makes you extremely brave or stupid. It definitely feels good!" "Just before I started the race, I was really nervous, and my confidence was really shot. But once I got on the horses, it was exciting. I think I was the happiest I had ever been. I think my jaw was even hurting from smiling so much!" she said. Which probably says more about the experience than anything else, as the race sustains many injuries for the riders. Telstad herself suffered a broken rib as well as a punctured lung after one of her horses stepped on her. But she used more than adrenalin to keep her motivated by also fund-raising for her chosen charity, the BC Epilepsy Society. In addition to the bruises and the scrapes, she is said to have raised $2,800 for the charity. "The first thing I did was take a shower. I have long hair, and it took me about an hour to get a brush through my hair. It was so matted and gnarly, but it was all worth it!" To stand a chance of finishing riders must balance survival skills and horsemanship. They must endure the natural elements, the unpredictability of being on semi-wild horses as well as unfamiliar food and terrain. Completing the World's longest horse race, let alone winning it is certainly an achievement that very few can boast. And let's not forget the 'Equally Wild' Horses who should also get a pat on the back and some extra oats for playing their part. August 18 (Young Mongols) Fitness in Mongolia is more than just the "three sports of men" (archery, horse racing, and wrestling). Did you know that there are about thirty yoga studios in Ulaanbaatar? And that there's an Angolan dance taking the city by storm? As one personal trainer puts it, "You are healthy, you are wealthy." You're looking rich, Mongolia! August 18 (UB Post) Bilguun Munkhjargal wrote a review of the "Famous Men" EP. Bilguun Munkjargal is the co-author of "Caffeine Deficiency" and the author of the blog Asian Gypsy. He is currently the Creative Director at Y&R Mongolia, a full-service creative and research agency based in Ulaanbaatar. Magnolian, the project of Dulguun Bayasgalan, caught listeners' attention a few months ago with the release of his fun and catchy tune "Someday", featuring Enkhjin on vocals. Now, back with his debut EP, Magnolian's "Famous Men" is full of character that is refreshing and beautiful to behold. Possessing the charm and simple joy of a musician on a couch with a guitar, "Famous Men" is a meditative, contemplative. and at times, fun and easy-going journey through six tracks (plus the bonus track "Banquet" in Mongolian). "The Dream of a Ridiculous Man" is a quiet contemplation of death. You can almost imagine it as the soundtrack to the calm and subtly tense moments before a spaghetti western showdown scene, sort of a Radiohead meditation on a Tarantino movie scene. "Famous Men", the title track, is reminiscent of Nick Drake circa the "Pink Moon" era. "The Bride and the Bachelor" is a summery duet with Tselmuun, with the powerhouse vocalist's voice lending itself to subtlety and depth in the catchy and sophisticated tune about coming of age. Dulguun's voice is deep and delicate, and one imagines he will develop the whiskey gravelly-ness of mid-year Tom Waits in the years to come. "Famous Men" is by far one of the best albums to come out of Mongolia in 2016, with an emphasis on "out of", as Magnolian's songwriting in English provides accessibility to a global audience. To prove the point, Magnolian's EP has already been named the best underground album of July by Nerdist, a U.S. digital media network of hugely popular podcasts. While folk in nature, Magnolian's music is anything but ethnic. Drawing on the influences of the likes of Lou Reed, Nick Drake, Bon Iver, and Radiohead circa "OK Computer", there is much beauty to behold in Magnolian's debut EP: the seamless morin khuur arrangement of "The Bride and the Bachelor" that catches you by surprise, the simplicity and the sunshine mantra of "The Beach Song", and the melancholy anthem of "Banquet" ending in a freewheeling brass arrangement. Expect to hear much more from Magnolian in the near future. August 18 (UB Post) Movie Lovers Mongolia Facebook group will host its sixth Movie Night Under the Stars at the National Garden Park on August 20. The organizers will showcase the 2013 British romantic comedy-drama film "About Time" outdoors, and have invited couples to join the evening. In the film, 21-year- old Tim discovers he can travel through time and change what happens and has happened in his own life. His decision to make his world a better place by getting a girlfriend turns out not to be as easy as you might think. When: August 20, 10:00 p.m.
August 18 (UB Post) Zero Waster & Minimalist Mongolia Facebook Group will organize a film event at Gandan Live House on August 21. 2016 American documentary film "Minimalism: A Documentary about the Important Things" will be displayed at the event. How might your life be better with less? "Minimalism: A Documentary about the Important Things" examines the many flavors of minimalism by taking the audience inside the lives of minimalists from all walks of life – families, entrepreneurs, architects, artists, journalists, scientists, and even a former Wall Street broker – all of whom are striving to live a meaningful life with less. When: August 21, 1:00 p.m.
August 18 (The Guardian) Up to 35% of Mongolians still live a nomadic life, depending on their land to survive. But environmental changes, particularly desertification, means this way of life is under threat. Korean photographer Daesung Lee's Futuristic Archaeology images show billboard-size backdrops of lush steppe contrasting with actual scenery as former nomads enact scenes of hunting, herding and Mongolian wrestling. Lee won the Prix Voies Off d'Arles 2016 at the Arles photography festival for showing a "nomadic way of life that, in the future, may only exist in a museum".